I love customizing my clothes! And no, I don’t mean bringing out the bedazzler and going crazy with it, I’m talking more about updating and changing little details that make a huge impact. I’ve put together a list of DIY ideas that you can use either to update your existing items in your wardrobe or to completely customize a new piece of clothing. This is one of my favourite DIY ideas of all time! 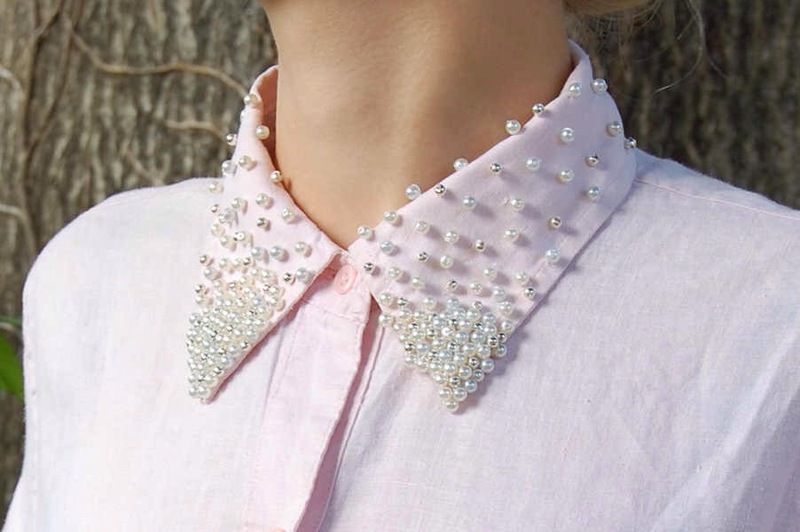 All you need is a collared shirt, a needle, some thread and pearl-like beads and within 10 minutes you’ll have a gorgeous and totally glam shirt. You can even add little flat-backed rhinestones or charms to add a dash of bling to your customized collar. Ever heard of a shoe clip? Well, it’s this metal clip, that looks a lot like the clip used for clip-on earrings but a lot bigger. 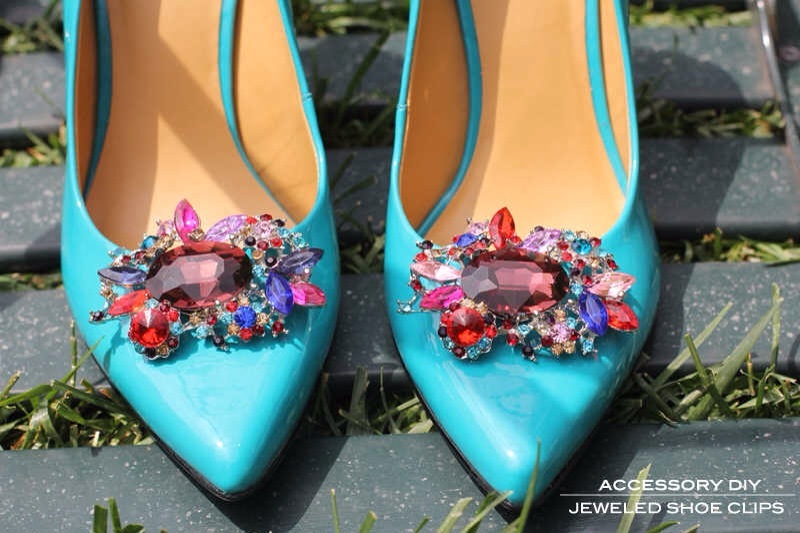 Just glue on some rhinestones, spikes, trimming or even bows to the base of the clip and then clip it onto your shoes. And voilà! You’ve got yourself a totally unique pair of pumps and since the shoe clip is removable you can always use it on other shoes too! I thought crop tops will be totally out of season by now, but errbody is still enjoying the trend. 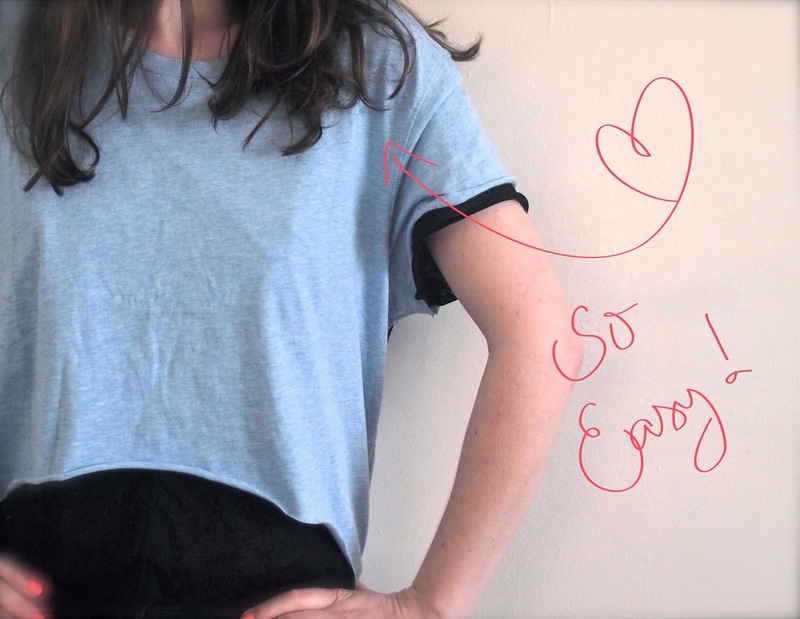 If you’re a fan of crop tops, then you can create your own without spending a cent! 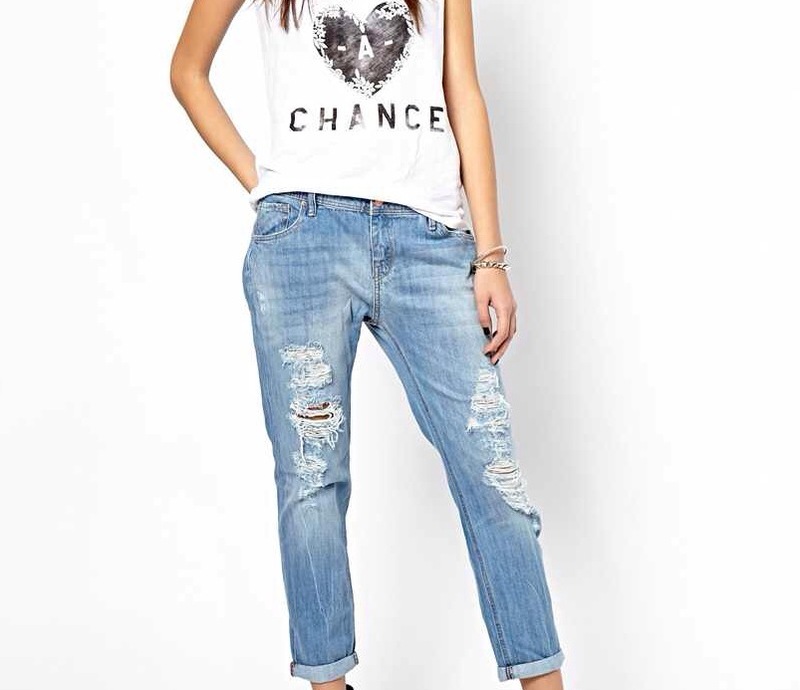 Just grab a super sharp pair of scissors and a soft viscose-like top/tee that raw edges will look cool on. Next snip off the sleeves and the length of the tee, you can decide on the sleeve length and the crop top length. Just remember that you can always cut-off more material but you can’t uncut it, so be cautious when snipping – just go slow! Once you’re done, you’ll have a cool crop top to wear out this summer. If you’ve got a pair of acid-wash/light denim skinnies hanging about in your cupboard, why not take a razor blade and rip it up? You can rip around the knee area and around the front and back pockets. And if you don’t want any skin to show, but still want that totally ripped-up jeans effect, all you’ve got to do is sew a patch of flesh-coloured fabric on to the inside of your jeans in whichever areas the rips are – simple right? If you’ve got a bunch of clutches hanging about, why not give them a total makeover? All you need is some shiny trimming embedded with crystals (available at fabric and button & trimmings stores or just break apart a statement necklace) and either a needle and some thread or a hot glue gun – depending on the material of your bag. 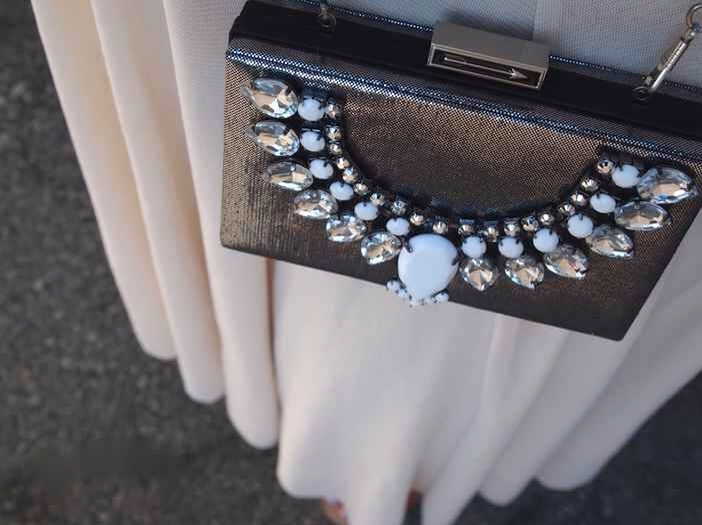 Once you’ve attached the trimming/necklace, say hello to a totally chic, blinged-out clutch which is definitely ready for a night out on the town!